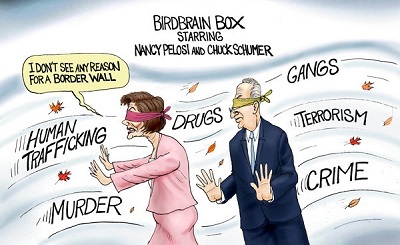 The New Complete Wall is long too late! 150 + years too late! Jim Chilton, 79, owns a 50,000-acre ranch situated on the U.S.-Mexico border, which has become a hot spot for illegals crossing into the country. 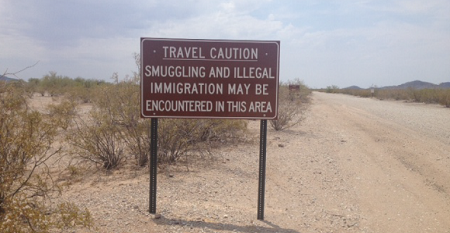 Certain shots show illegal immigrants pouring into the country literally by the dozen. Calling them illegal aliens is so not PC! Undocumented citizens. That's more like it. And citizens have a right to bear arms; those apparent assault rifles? Protection! From who? Dregs & deplorables. It's THEM that outta be deported, donchathink? Yeah! Deport 'em THEN build a wall to keep 'em from coming back. 'Course, that's not exactly open borders, but any other folks that want in, roll out the red carpet! Impeach 45! Impeach Kavanaugh! Impeach Pence! RESIST! RESIST! RESIST! Re: The New Complete Wall is long too late! 150 + years too late! Those frequent criers of those two words that bore conservatives should try living along that long border! Turning off this tablet now before the better half catches me red handed/red faced too! Thanks Riddick, so it's nap time for another 14 hrs tonight! Almost 450 Illegal Aliens Apprehended In Yuma In 48 Hours! Among those encountered were two huge groups of Central American nationals totaling 82 and 83 subjects. ...Remember this. Throughout the ages some things NEVER get better and NEVER change. 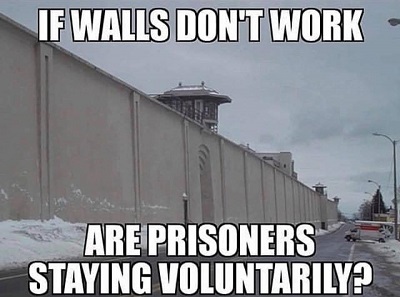 You have Walls and you have Wheels. It was ALWAYS that way and it will ALWAYS be that way! 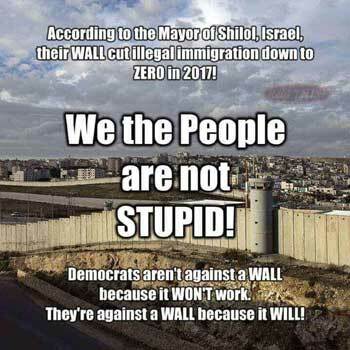 Please explain to the Democrats that there can NEVER be a replacement for a good old fashioned WALL! Spot on everyone! 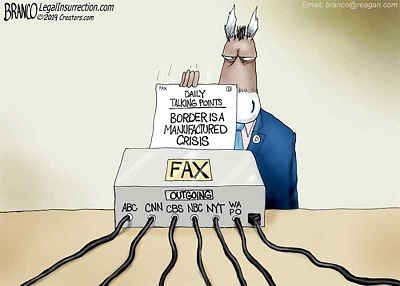 The real life donkeys like grass and grains but say we're not going forward for the Democrat socialist liberals! NOW! Do rush a search to The Jim Bohannon Show for his first guest on 1/17/01! He was all about walls! I will link it here later. Guests: Dan Perkins, Author and Commentator, On to discuss the impasse between President Trump and Speaker Pelosi. 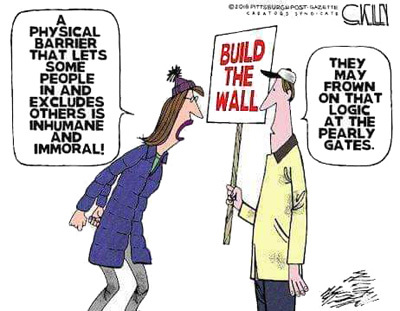 Jim Antle, Editor for American Conservative Magazine, On to discuss the impasse between President Trump and Speaker Pelosi - *Rich Harwood*, President and Founder of the Harwood Institute, On to discuss his piece about *border walls* And ... Your thoughts on the government shutdown. Go to 39:30 to begin Rich Harwood's (abstract) talk on The Wall (any metaphoric walls). 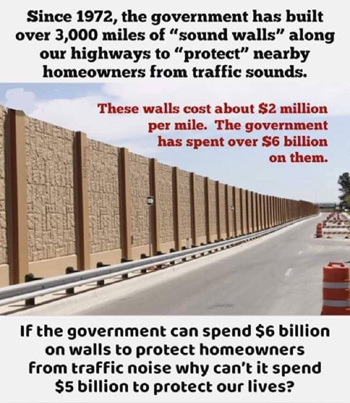 FYI Jim's a wall supporter and a genius explaining his side on any topic! Because you may hear a song from Pink Floyd's, The Wall!